Barcelona legend and football icon Ronaldinho has told Paul Pogba he must respect and learn from Jose Mourinho. In recent weeks, there has been some report of a cold relationship between Paul Pogba and Jose Mourinho. 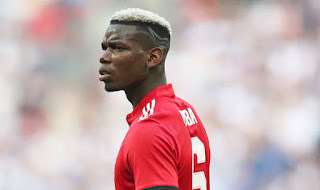 Mourinho has shown willingness to drop Pogba from his starting 11 and report has it that Pogba will like to seek a move away from Manchester United come summer transfer window. However, Ronaldinho has told the French star to respect all his manager's decisions and he can develop as a better player under Mourinho. "He knows the substitutes' bench, like me at Paris Saint-Germain with [former coach Luis] Fernandez. It is not the same, when Mourinho tells you that you're on the bench you have to respect that, the other guy, a little less," he said. "I think Paul really has a lot to learn from Mourinho, who is one of the best coaches in the world. A coach who has so many titles should be respected. In my case, it was the opposite." "He is already in a big club and he has everything needed to make history, whether it is this club or another he has to be where he feels happiest." Ronaldinho however also praise Pogba's ability, insisting he has what it takes to win the Ballon d'Or award. "He can win the Ballon d'Or, without a doubt"
"I see Pogba as a friend, I don't see myself as his idol. He is young, talented and he has the ability to play anywhere, he can play in a free role, defensive, as a runner or attacking." "He has the characteristics of a player who can fill any position, he can make history." Do you think Paul Pogba has the ability to win the Ballon d'Or?